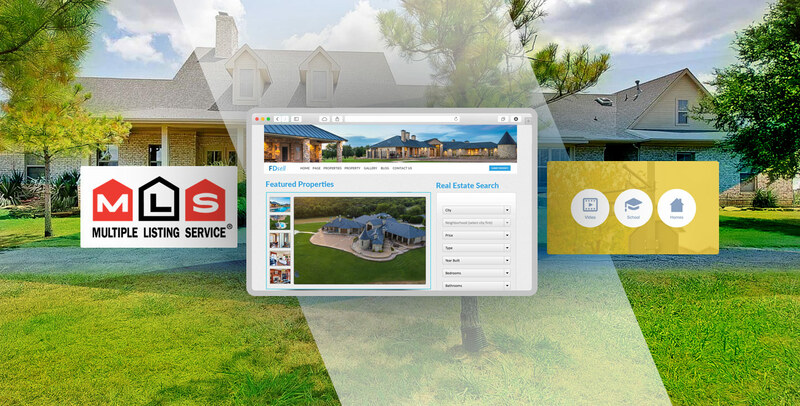 In today's fiercely competitive digital marketplace, you need no longer a real estate website; instead, you need a professionally-built real estate website by experienced MLS developers. Remember, customers have set their expectations high, and you have to set the benchmark for your digital experience accordingly. Root Info Solutions, the leader in real estate website design and development, suggests 5 tips to create a masterpiece like Briggs Freeman. The recipe may sound old, but it’s highly desirable. With more than 3 billion websites on the web and more than thousands of competitors vying for getting the attention of home buyers, how are you going to make a difference? Well, the very first thing is to have a professional website. Many think it about looks alone, but that’s a half-truth. The kind of user experience that you deliver through the website should also be professional. For instance, if the information is placed in a depth that is not easily accessible to users, it doesn’t make any sense. So, the user experience experts say that you have to make users comfortable in finding information and accessing services you offer. Ease of navigation, quality of the content, the sharpness of the photos and so on, there are endless things to pursue the goal. In a nutshell, focus on both aesthetics and functionality. The professionalism shall be followed in real estate website design and development thoroughly, and it must be vetted by quality professionals who know what works and what doesn’t. Don’t you want to use your time wisely? Website users are no different. So, make sure speed of the site is standard. To achieve it, your real estate website developer must be acquainted with the W3C guidelines. Google also provides significant recommendations to help web developers create a high-speed website. You can also check the speed of your website using Google’s speed test tool, aka PageSpeed Insights. It measures the speed on desktop and mobile both. Hence, it won’t be difficult to check website speed issue problem. Multiple listing services is a great way to make your website flooded with relevant data from across the areas you cater to. This way, home buyers can explore more listings and make a better decision. The listings also help you sync your listings or data with other real estate agents or brokers and target a wider audience cohort. So, MLS integration helps you drive customer acquisition and drive ROI (Return on Investment). However, the need is to have a standard MLS? If you operate in North America, consider using RETS (Real Estate Transaction Standard), which is universally accepted by all real estate associations active there. Provide a detailed video walkthrough to users to help them get the ins and outs of the properties. It doesn’t mean that you spend thousands of dollars on professional video shots. With the built-in high definition camera of your smartphone or drone, you can create videos for the listings. Make the video format compatible with the website’s framework so that users can have an uninterrupted experience across any browser. Users appreciate a conversational approach and blogs are a great means to do that. So ask your real estate website development company or developer to provide a sturdy content management system with blogging feature. Equip your blogging platform with eas-to-use features and tools so that you can draft, review, edit and publish blogs effortlessly. The blogging platform must be built engaging with a search tool, social network integration, tags, categories and, most importantly a comment section that enables users to submit their views. Real estate website design and development teams must work hand-in-glove with the quality compliance monitoring staff in an Agile fashion. The collaboration will help in solving any website challenges then and there only. This also speeds up the real estate website development and delivery.